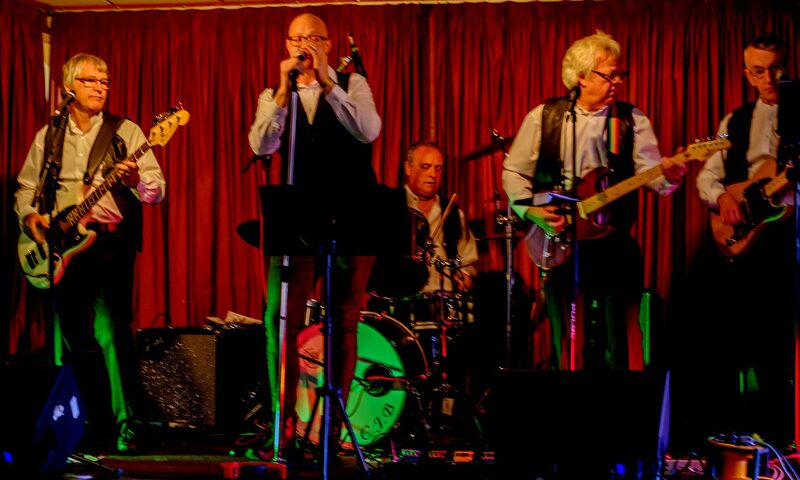 Fabulous 60’s and 70’s function / party band. Large repertoire of classic hits, all played live with a driving Backbeat – guaranteed to get your feet tapping. With strong lead vocals and multi part harmonies, we bring an updated sound to the golden hits of the past . Everyone knows the songs we play, so whether you want to sing along or get up and dance, you can be sure you and your guests will be entertained. Fully equipped with pa system, lights and background/disco music. The band has been going 30 years, and current line up has been playing together since 2017. Happily some of the past members are still available to stand in when required and so far we are proud to have never cancelled a booking! In musical terms a Backbeat is an accented syncopation on alternate beats – typically beats 2 and 4 in a standard 4/4 beat pattern. It can be found in early recordings from the 1930’s onwards and has been a mainstay of many forms of popular music – probably because it gives a great foot tapping rhythm!